The perfect treat for chocolate lovers this Easter.A pre-packed milk egg in a beautiful Easter card box. 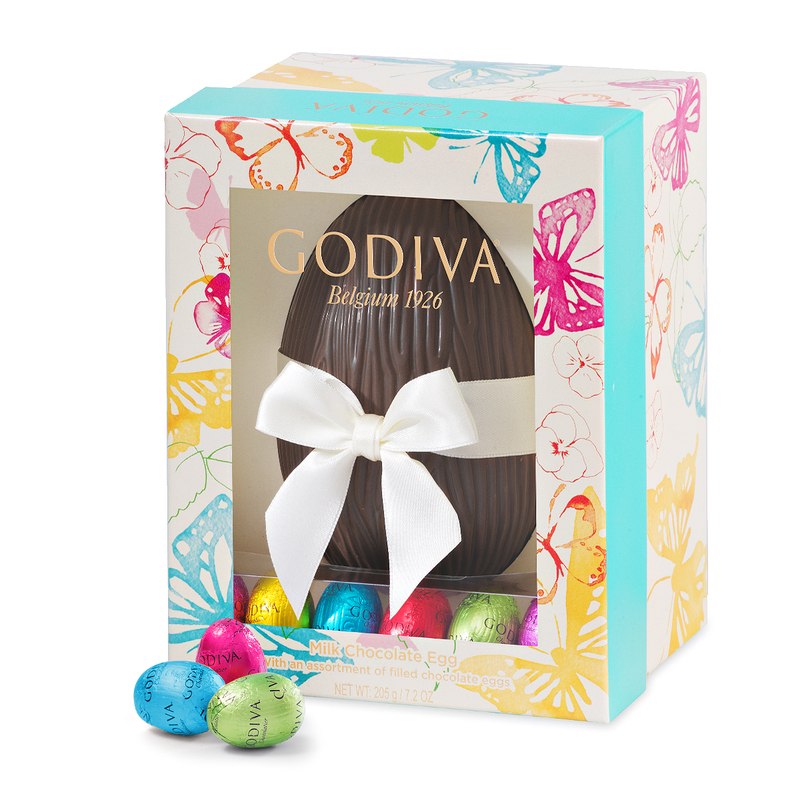 This also includes a selection of 4 colourful individually wrapped chocolate eggs. The gift is wrapped in stylish gift paper and is decorated with a fitting bow for the occasion. A wishcard with your own personal message makes the gift complete. We deliver this gift in the Benelux, France, Germany, Austria, Denmark, Hungary, Italy, Slovakia, Denmark, United Kingdom, Czech republic, Poland. Order today before 3pm. for delivery any day of your choice.